Do you want to be able to take care of your own health naturally? Are you interested in becoming an herbalist so you can help others? Or, are you aready an herbalist who wants to grow their herbal practice or business? The Herbiverse is new and unique. At the herbiverse, you can search for herbalists, receive monthly education about herbs and natural healing, and/or promote yourself as an herbalist or natural healer. We offer a 30 day free trial to the herbiverse, so you can see if it's right for you. Here are the details of what you get with your membership. Every month we produce four exclusive webinars just for our Herbiverse members covering information on specific health problems, holistic healing techniques and skills that are vital to being a health consultant. They are taught live with a question and answer session and recorded so you can watch again at your convenience. Here are the four webinars we offer each month. While there are many places one can go to learn about herbs and nutrition, the Herbiverse program is truly holistic, because we’re not just helping people to heal physically or even emotionally. We want to help people heal their lives on all levels, including financially. With the aging Baby Boomer population, the biggest area of economic growth in the coming years will be in natural health care. So, our four webinar tracks, described below, help people with their physical, mental, emotional, relationship and even financial health. This makes our program truly unique. The Herbal Hour is a monthly webinar on a specific health topic. It serves two purposes. First, it allows students of herbalism to expand their knowledge of specific applications related to herbs and natural healing. Secondly, it offers a tool to help experienced herbalists promote their herbal business or practice, because we allow members to download the PowerPoint presentations and modify them to use in their own classes. We also provide promotional flyers and training in how to use classes to market yourself through our business coaching program. 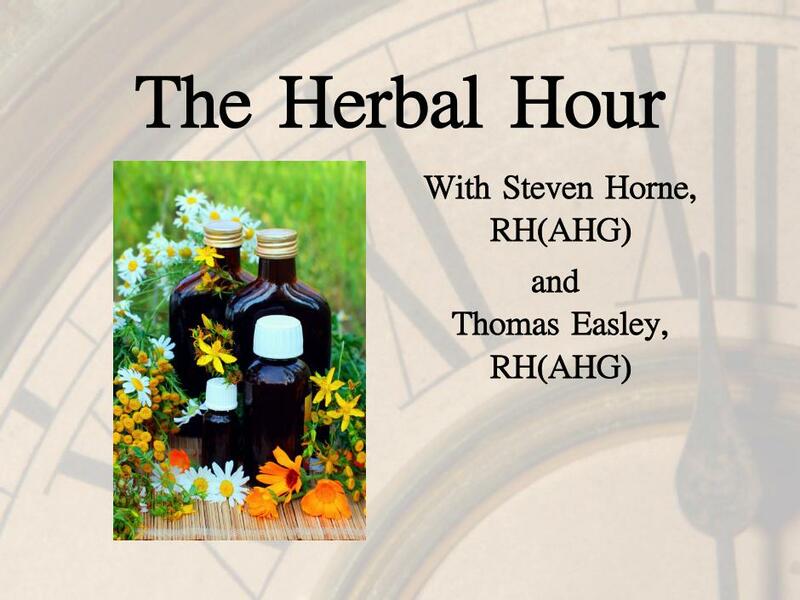 The Herbal Hour is taught by Steven Horne and Thomas Easley, co-author of the book Modern Herbal Medicine. 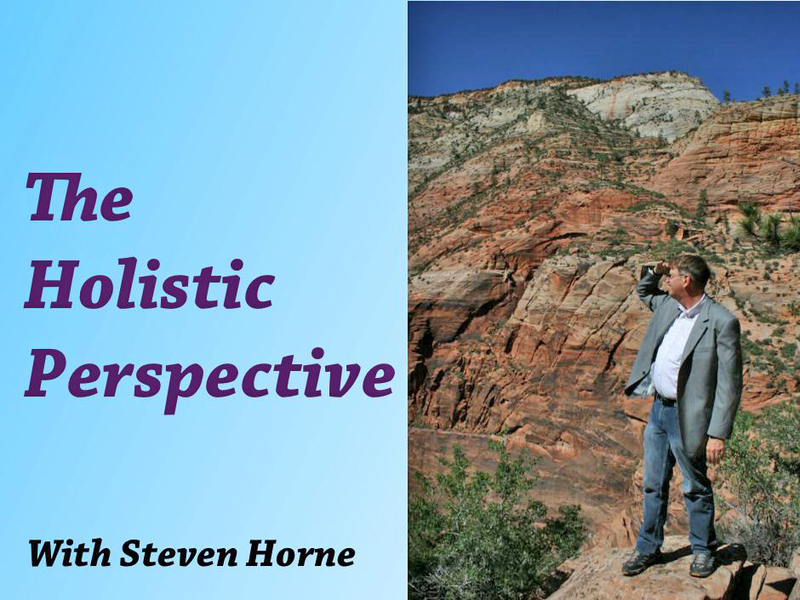 For over two decades, Steven Horne has been producing educational materials to help people who market Nature’s Sunshine Products (NSP) to build successful businesses helping others with herbs, supplements and natural healing techniques. His materials have helped hundreds of people operate successful businesses and become more effective herbalists and natural health consultants. 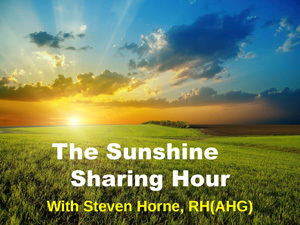 The Sunshine Sharing Hour meets the needs of our longtime NSP customers, covering the same topic as the Herbal Hour, but with specific focus on NSP products. Since 1986, our Founder, Steven Horne, has been doing emotional healing work as part of his efforts to help others. In the Holistic Perspective webinars, he will be sharing his insights into how to help people heal on an emotional, mental, spiritual and social level. He will provide information about trauma recovery, interpersonal communication skills, flower essences and numerous other tools that can help people take their healing work to a whole new level. This webinar series can help your personal growth and development as well as that of your customers and clients. Many times people have the herbal knowledge and skills to run a successful herbal shop or practice, but they lack the business expertise required to achieve their dreams. 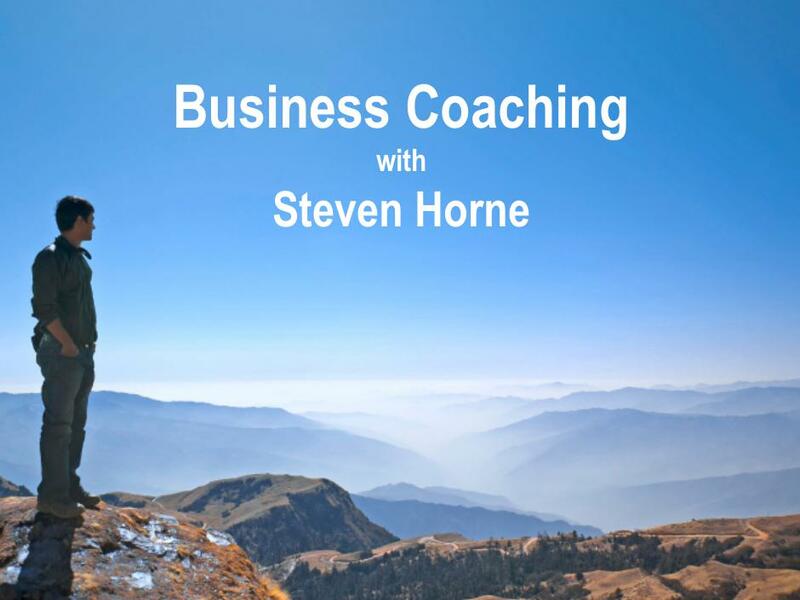 The Business Coaching webinars provide members with a library of information about business startup, accounting, management, marketing, leadership and other business skills. This unique and valuable webinar series can help people who are just getting started in their herbal careers as well as provide established herbalists with ideas on how they can better grow and manage their existing business. When you explore the herbiverse during your free trial, you’ll get instant access to a library of 100+ webinars. All past webinars are available in the member area in both windows media video (wmv) and audio (mp3) formats. So, you can watch the webinar on your Mac, PC or tablet, and listen to them on an mp3 player, phone or tablet. You’ll also be able to download pdf handouts and the actual PowerPoint presentation. We do this because we encourage members to teach the information they learn. We believe that educating others is the best way to grow an herbal practice or business, and we want the information we’re teaching our members to benefit as many people as possible. Here are some of the previous webinar topics we've covered that you can get instant access to with your free trial membership. The herbiverse is the ideal place to find an herbalist, become an herbalist or promote yourself as an herbalist. If you're interested in learning how to use herbs to help yourself and/or your family, then the herbiverse is a place to get high quality training every for a very reasonable cost. Plus, you can get discounts on all our other courses and If you're wanting to build an herbal business, our program In addition to all the ongoing educational materials, you can post a searchable herbalist profile at Herbiverse.com. We're promoting these listings through the url findanherbalist.com in our Modern Herbal Medicine book. We also offer discounts on our books and courses to our members. Our free trial allows you to explore the many resources in the herbiverse and decide if it's right for you. If you decide to continue, you will be billed only $19.95 per month. You can cancel at any time. We do not currently have online sign-up available for the herbiverse. To start your free trial, please call us at 1-800-416-2887.